Albion manager Tony Pulis: "We had to grind it out, it was a typical derby game, very ferocious, with effort and commitment. We've had eight games in four weeks and although people might be disappointed, the effort and commitment put in was first class. "We need every point to maintain our Premier League status - and that's what we've done." Aston Villa manager Remi Garde: “I'm a little bit disappointed because we wanted three points. In another situation we might be happy with a point but we need more points than that. We tried, we did our best, especially in the second half, but they defended well. “If you see the team playing now, we look more like a team now than we used to. Players have the right attitude, but sometimes we miss talent or quality to score goals. Albion goalkeeper Ben Foster: "It was a bit scrappy to be honest and neither side probably deserved to win. I think 0-0 was a fair result." Nope, no winner. Game over. Nothing much else to tell you. Villa happier with the point, but really they needed all three. Head over here for all the post-match reaction. Villa sub Jordan Veretout knocks a free-kick into the Albion box, but the home side clear. Moments later, Leandro Bacuna lashes an ambitious shot over. Villa knocking on the door as we head into the final five minutes of normal time. Carles Gil's cross flashes across goal without getting a vital touch, before Jordan Ayew storms into the Albion box....and trips over the ball. Pretty much sums this game up. Former Albion forward Tony Brown on BBC WM 95.6: "Villa should have gone in front there, big miss from Micah Richards, WBA have offered very little second half and Villa have made all of the running and they are lucky to still be level." "Villa starting to clearly think that they can actually win this. "It has gone very quiet at The Hawthorns, as a lot of Albion fans reflect on their traditionally very poor record in this fixture!" Oh hang on...Rudy Gestede looks like he is heading off already. The Villa sub has only been with us for 15 minutes or so, but pulls up clutching his hamstring when arriving in the box to support Jordan Ayew who has a shot blocked. Rudy Gestede is the sort of striker that most defenders would hate having to face. Unless you're a man mountain too. He has brought a threat to the Villa attack, just beaten to another high ball swung in from the left. Callum McManaman! I'd almost forgotten about him. Albion introduce the former Wigan winger as Tony Pulis throws his last roll of the tactical dice. Quality tackle from Crag Dawson. The Albion right-back has no margin for error as he prepares to slide in on Leandro Bacuna, who has made a driving run into the area from the left. Dawson takes the ball clean as you like - bet he can time a poached egg to perfection. The Hawthorns seems a bit edgy all of a sudden. Villa are the team which has been boosted - initially at least - by their tactical change. The fourth official is the busiest man inside the Hawthorns at the moment. Three substitutions are made - and they're all forwards. 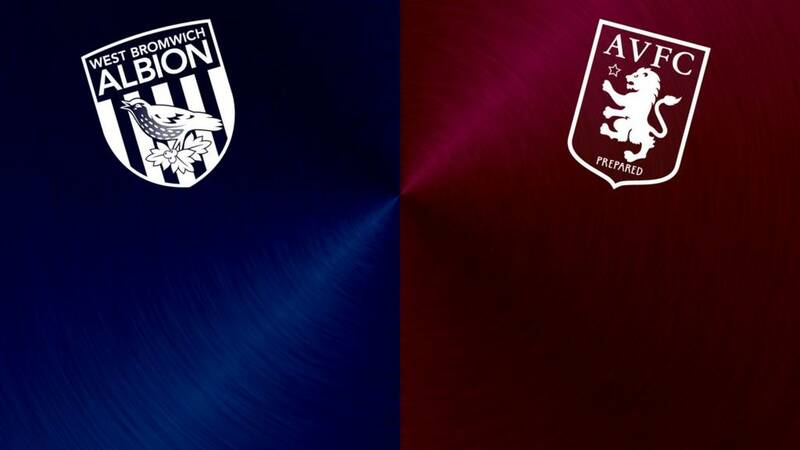 Albion introduce Saido Berahino and Victor Anichebe for Craig Gardner and Salomon Rondon, while lanky Villa striker Rudy Gestede replaces Libor Kozak. If these changes don't create a goal then I don't know what will.. Finally we see both goalkeepers forced to earn their weekly pay packet. Villa's Mark Bunn is the first called upon, palming clear a dangerous cross from the right. And moments later Albion's Ben Foster holds on to Ashley Westwood's drive from 25 yards.